Despite the pastoral scenery surrounded by beaches and endless views of the ocean, Malta is very much a modern European economy. That means a sophisticated tax system with a number of different tax regimes, which apply to foreigners, residents and citizens of Malta. Sophistication can be a good thing (even if you’re not a tax advisor) because it allows the government to use taxes to have positive effects on your way of life. But the complexities of Malta’s tax code can get a bit frustrating at times. Below is a straightforward and easy-to-understand guide to what you need to know to stay on the good side of Malta’s tax department. From double tax treaties to VAT to Malta’s inheritance tax, we’ll cover it all here. Who Needs to Charge and Remit VAT in Malta? 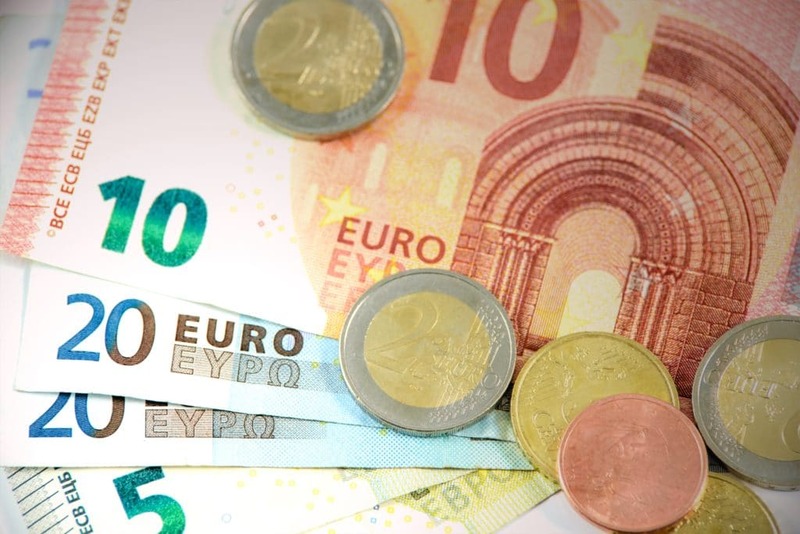 Does Malta Have an Inheritance Tax? Those who relocate to Malta need to register for a tax identification number. The form is available through the Ministry of Finance’s website. This tax identification number is used as a personal identifier when you file your personal income taxes. If you’re from outside the EU, Malta’s customs authorities may require you have a tax number before they’ll clear your belongings through customs. Companies who are resident in Malta also need to register for a tax identification number. 7% for supplies purchased by licensed hotels and caterers. Some medical supplies, in-home care, and certain supplies needed by the disabled, also qualify for the 5% rate. Finally, antiques, collectors’ items and works of art only have 5% applied to them. 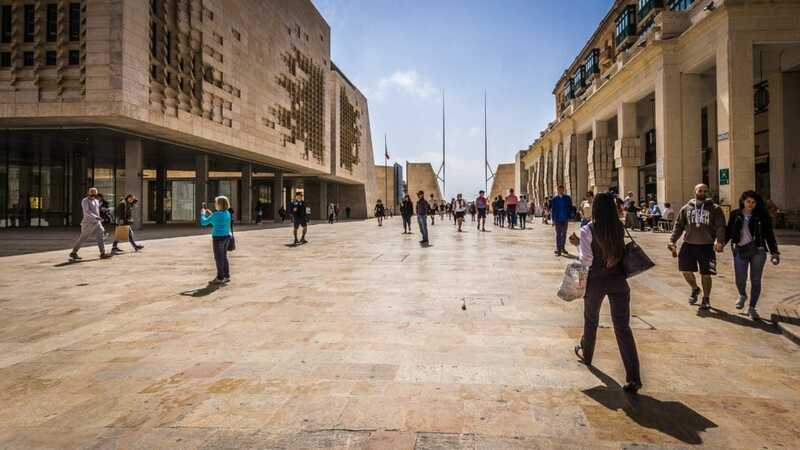 Almost all of the goods and services available in Valletta’s popular shopping district (and elsewhere in Malta) have an 18% VAT added as part of Malta’s sales tax system. Malta has a relatively complicated set of rules for determining who needs to charge VAT. Roughly, if your annual turnover is above €20,000 you need to find out whether you should be charging VAT for goods and services you sell. If you need to charge and remit VAT, you can also register for VAT number online. Malta levies personal income tax under a system of tax brackets, divided for individuals, married couples and parents. The top marginal tax rate is 35% of income above a relatively low threshold (€60,001 for individuals). Malta’s income tax act requires spouses to file jointly but they may elect whether they want to pool their income and pay the income tax rate for individuals or the tax rate for married couples. If you are normally resident and domiciled in Malta you are responsible for paying income tax on your worldwide income. If you are resident in Malta but not domiciled here you only pay tax on income remitted to Malta. In general, capital gains are pooled with the rest of your and taxed at the usual rate. The notable exception is the tax charged when you sell your home or other real estate. If you are new to Malta and have not paid income tax before you’ll want to familiarize yourself with the rules about tax residency in Malta. In many cases, those who qualify for tax residency in Malta can enjoy a rate as low as 15% on their Malta-sourced income. But, in some cases, there are minimum required annual tax payments. Under Malta’s taxation system, there is no tax on inheritance, wealth or gifts. But, note that the usual 5% stamp duty still applies to immovable property transferred as part of an estate. A surviving spouse only pays the duty on half the value of their marital home when their partner dies. The usual taxes on property are adjusted when you sell a property you have inherited. Generally, you only pay 12% on gains realized since the time of inheritance instead of 8% of the property’s total value. A double tax treaty is a relatively old idea that has become especially relevant in a post-globalization world. The purpose of these agreements is to establish a framework for regulation and information-sharing that means people are only taxed by one government on a particular stream of income. For instance, if Malta has a double tax treaty with the UK and France, and a Maltese citizen works for a British company in France for part of the year, it will be clear who is owed the income tax from that work. G7 members including US, UK, Canada, France, Germany and Italy. Other major developed countries like Australia, Belgium, Ireland, China and Russia. A handful of emerging economies like Hong Kong, Singapore, Saudia Arabia and Turkey. The Maltese government has not signed a double tax treaty with Japan or Brazil. Generally, there are not many double tax treaties between Malta and South American countries. There is an important, somewhat complicated, difference between where you are a tax resident and where you are domiciled. The distinction is relevant to Malta because it is a British tradition that has been adopted into Malta’s tax system. You can become a tax resident of Malta, quite easily, by applying for and being accepted into one of Malta’s residence schemes. Tax residents must pay income taxes on their Maltese income and any income remitted to Malta. You acquire your country of domicile at birth. It is the country your father considered to be his real and true permanent home. It is possible to change your country of domicile as an adult by demonstrating that you have permanently resettled to another country. The question of where you are domiciled is important to taxes because it will have a bearing on which government you declare your worldwide income to. For instance, if you are tax resident in Malta but are UK domiciled, you will pay income tax to the Maltese government on your Maltese income but the British government will get the taxes on non-Maltese income. EU rules mean that European trading companies can send dividends to Maltese parent companies without paying withholding tax. So long as the Maltese holding company has a participating interest in the child company, the shareholder may elect to either pay Maltese taxes (at 5%) on the dividends or have them declared exempt from taxation. Malta does not charge withholding tax on dividends, interest or royalties sent out of the country. Malta’s tax authorities do not charge tax on the capital gains that result from selling shares in Malta companies. Because Malta does not charge withholding tax on dividends, interest or royalties sent out of the country, as well as other reasons, it is a popular base for hold companies. As well, Malta’s process for registering a holding company is relatively straightforward and there is a deep pool of expertise in Malta to draw on for tax regulation advice. The tax year ends on December 31. An annual tax return must be filed by June 30. If your employer deducts taxes at source and you don’t owe any taxes, you are not required to file a return but you must file a declaration of this by June 15. Any outstanding amount is due by August 31. Self-employed individuals must pay an advance on the current year’s tax in three installments, on April 30, August 31 and December 31. 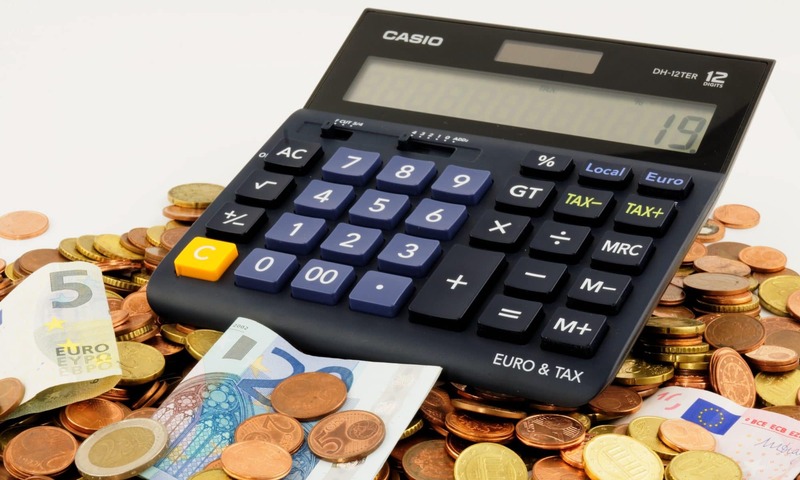 Compared to some countries, Malta’s tax system starts from a relatively simple point: The Maltese government levies taxes on income based on tax rates divided by brackets. Some of the residence schemes don’t use the tax rate brackets. But minimum annual tax liabilities have been added for some. There is no tax on the capital gains from selling real estate, but the buyer pays a stamp duty and the seller pays a transfer tax. 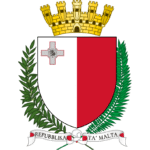 Malta has no tax on estates (except for some of the usual real estate taxes and duties), wealth or dividends, interest and royalties sent out of the country. 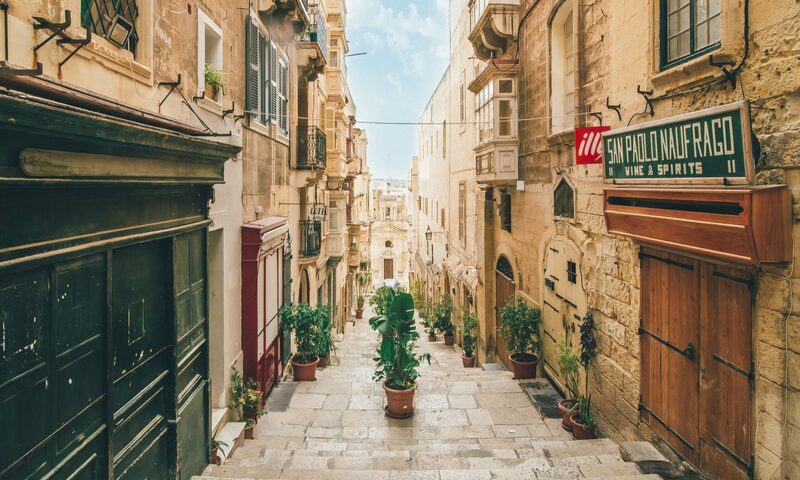 By their nature, tax system’s like Malta’s rely on you, the taxpayer to educate yourself and seek professional tax advice when necessary. Get in touch and I’ll happily help you clear up your tax picture.